Canon Powershot had a new technology that takes superior photos in low-light – a revolution in point-and-shoot photography at the time. Beyond the functional benefits, we wanted to demonstrate the emotional value the technology provided: giving people confidence that their important memories will always be captured. So we created "Your Second Shot", a project to help real people retake meaningful photos from their past that didn't turn out the first time. We traveled around the country (and once to Barcelona) to bring people back to their 'lost moments' and recaptured their journeys with Canon cameras. 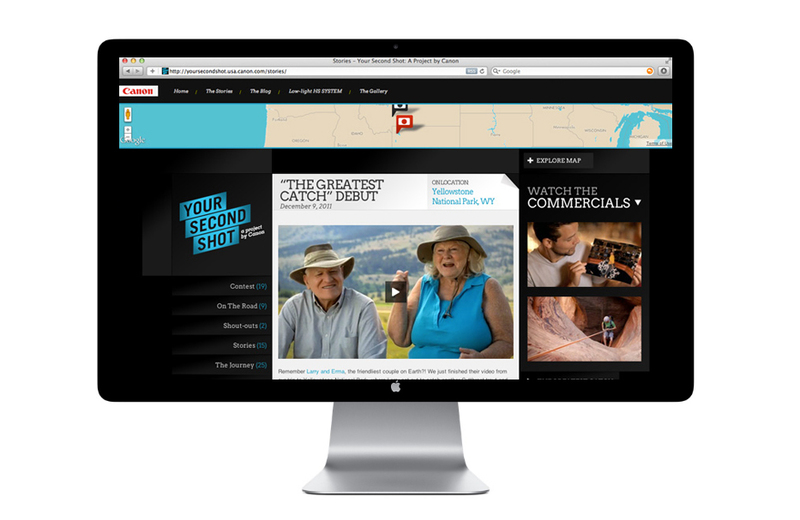 We produced an integrated, content rich experience from our adventures. On the website, users could follow the project as we shared our adventure in real time. We posted new blog content, photographs and films daily, and took new submissions to be part of the project. While traveling over 7,000 miles, we blogged from planes, canyons and casinos. 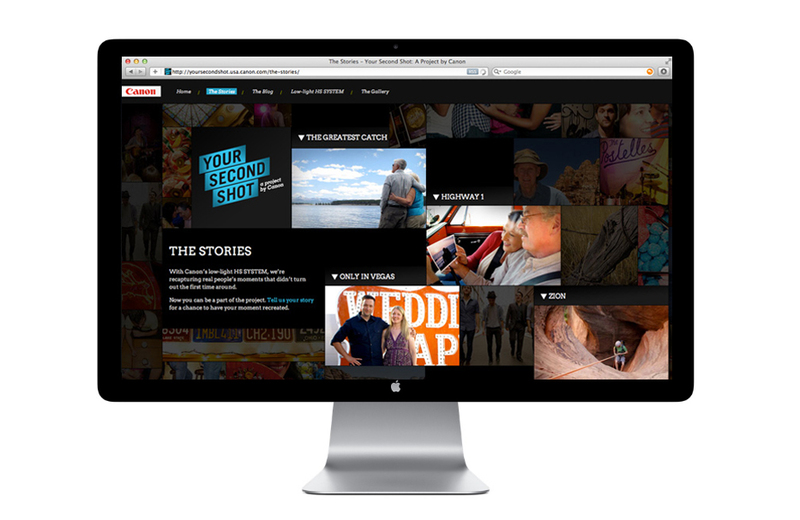 We produced three TV spots, eight online films and one short documentary that ran in cinema. Here are a few.